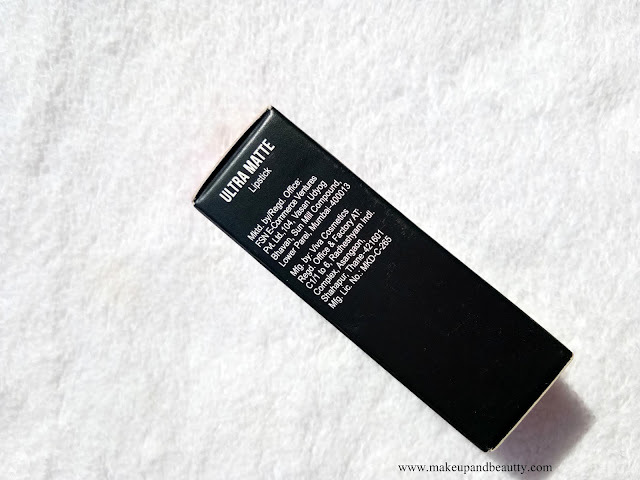 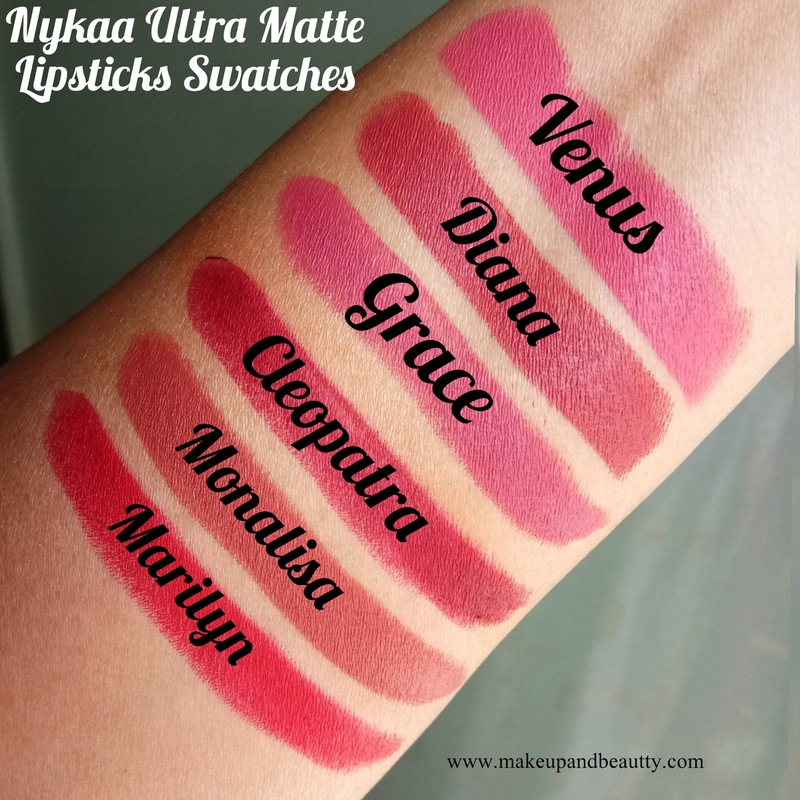 Finally, I am in the bandwagon too where I am going to put forward my thoughts over Nykaa Ultra matte lipsticks. 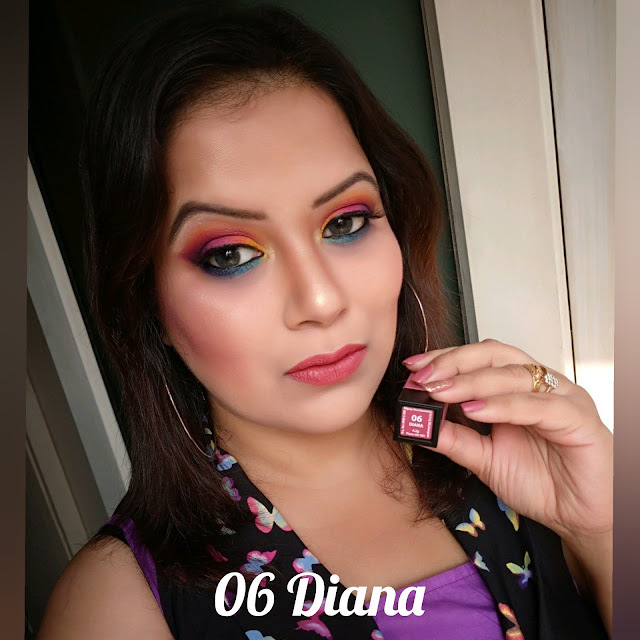 Nykaa launched 10 shades in this range and I picked 6 of them. 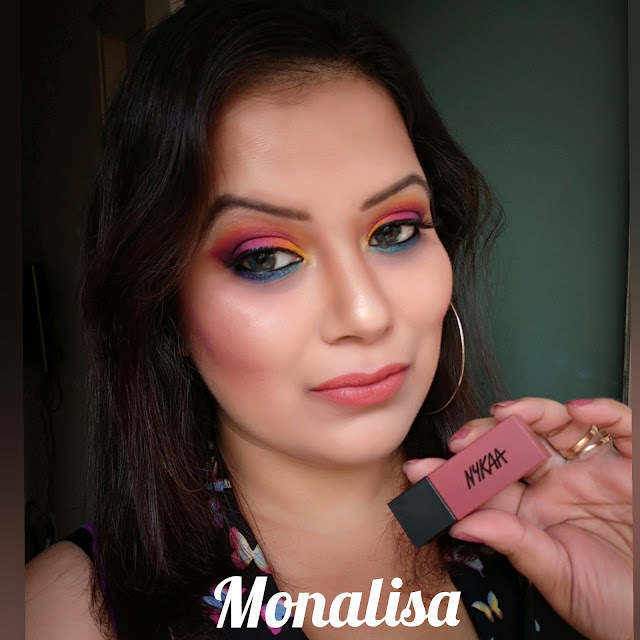 Available:- On nykaa online and offline store. 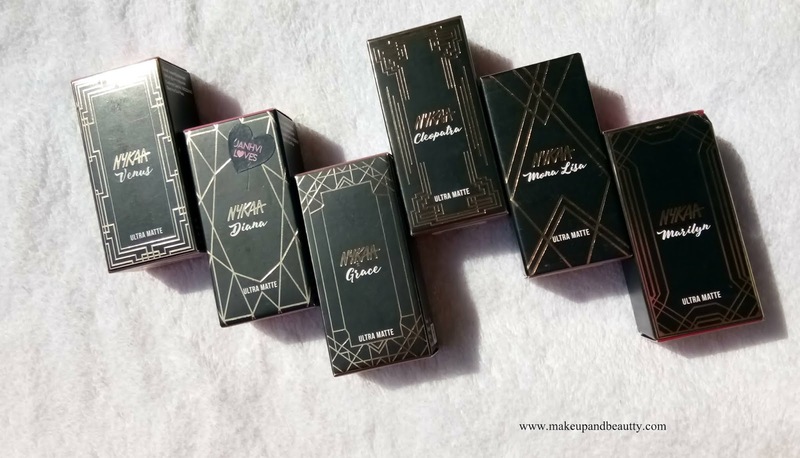 The packaging of these lipsticks is really classy. 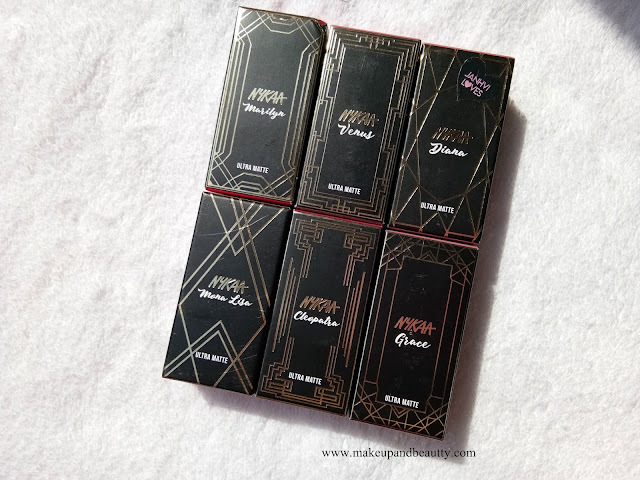 Each lipstick comes in a black carton box which has an abstract print of gold. Now, this print of gold is different in different lipstick carton box. While the cap of the lipsticks actually resembles the shade inside it. 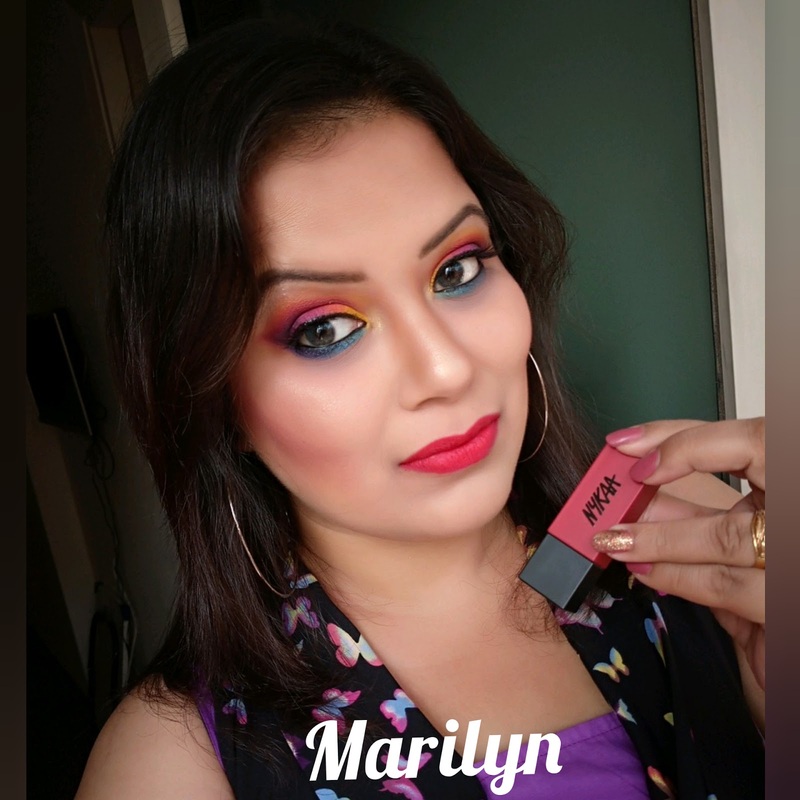 The lipstick has a magnetic closure and so there is no chance of mess inside your purse in your piles of stuff. 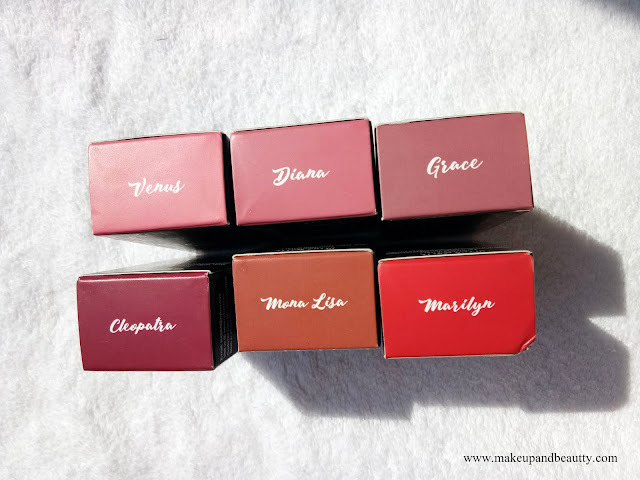 Packaging wise I feel the lipsticks are really cute and travel-friendly. 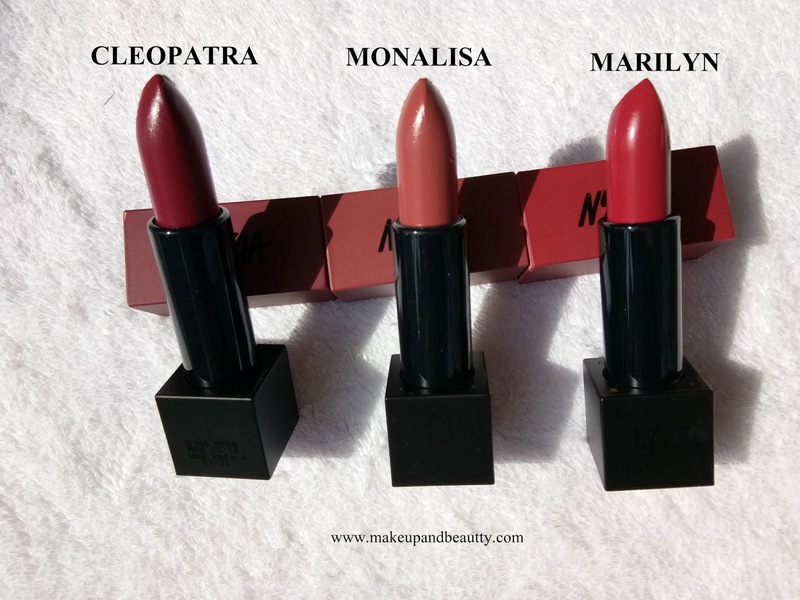 The lipsticks are matte in texture. 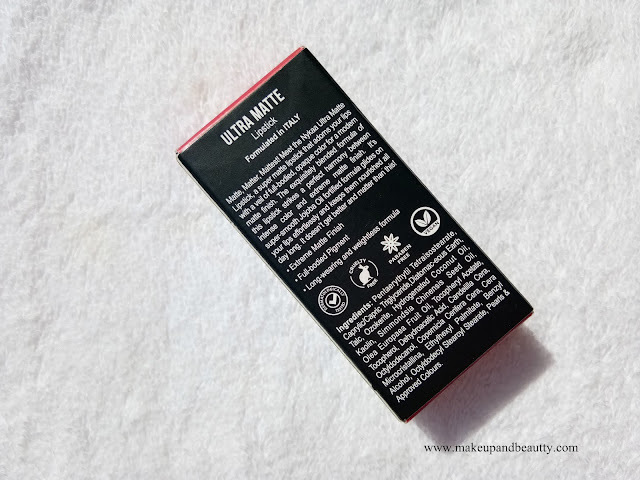 Matte means true matte there is no hidden finish in it (like the Begum has a little bit of glitter particle). 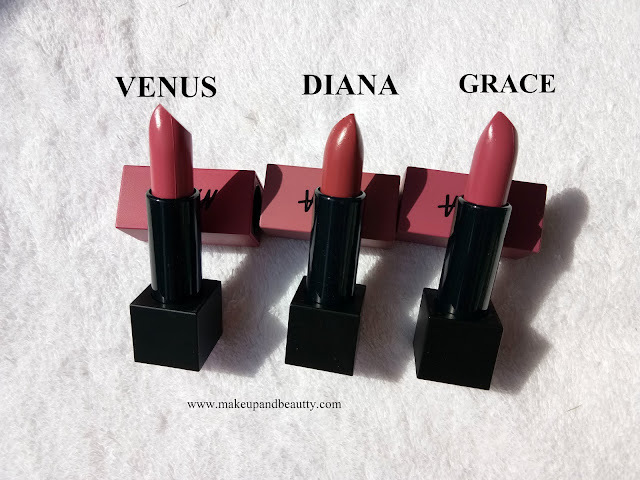 The lipsticks are damn pigmented whether they are light or dark shades. 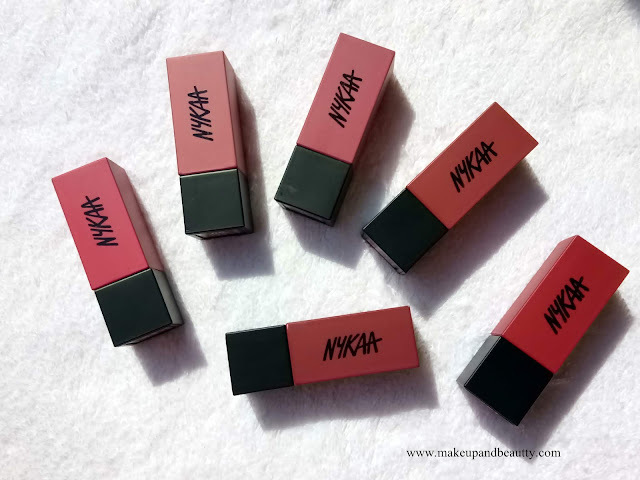 They glide smoothly on lips only when your lips are properly moisturized else they tug a bit while applying on lips. 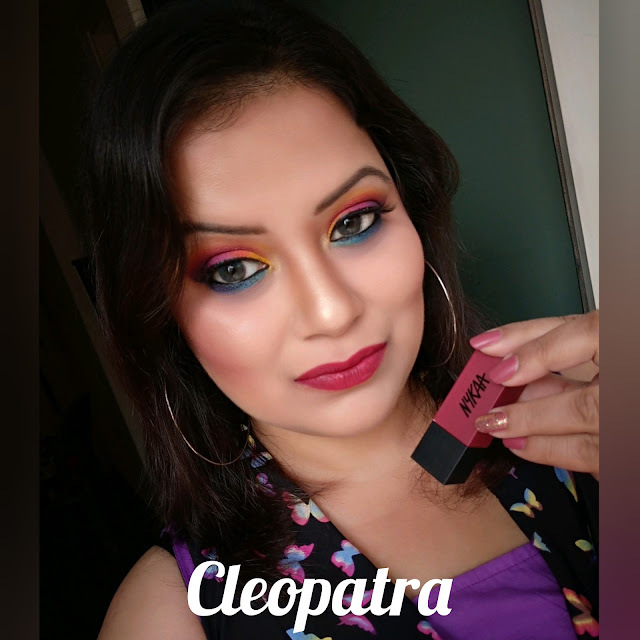 The shade "CLEOPATRA" is a little bit on the drier side while the shade "MONALISA" glides smoothly even on my dry lips. 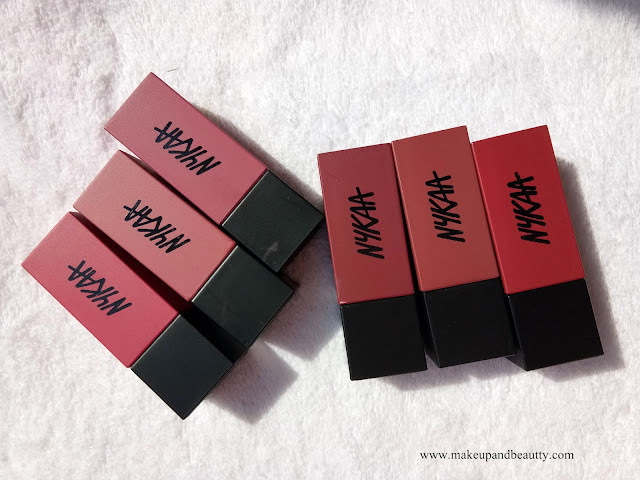 These lipsticks transfer a little bit but they stay intact for almost 5 hours with little bit snacking and drinking. 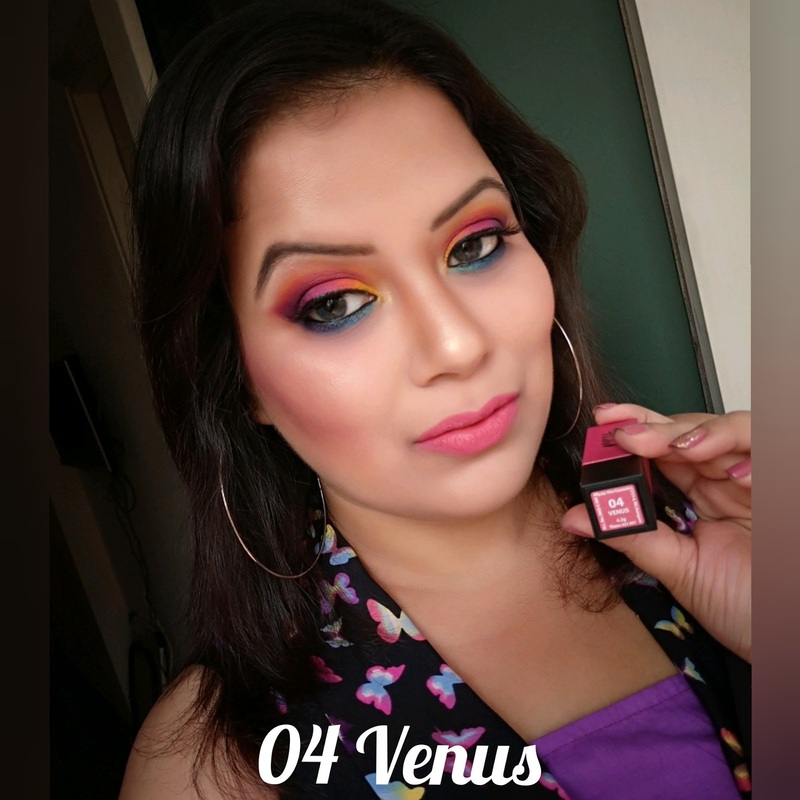 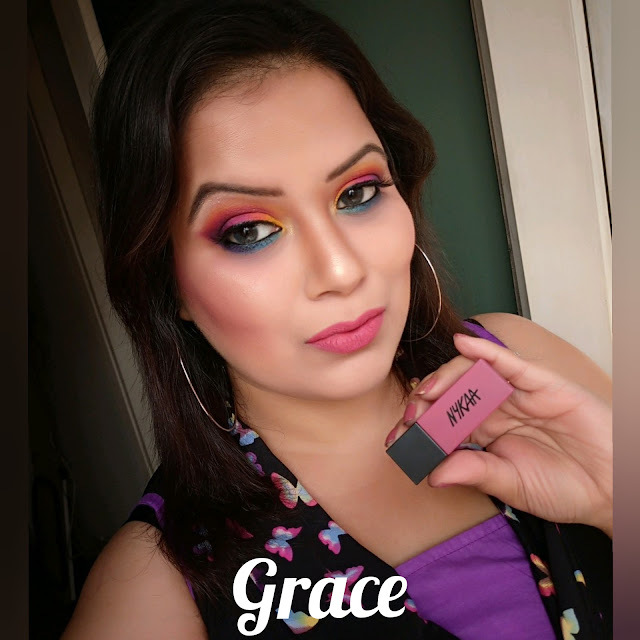 So far I feel that "these lipsticks are one of the best creation by nykaa" and if you loved Mac Retro Matte range lipsticks then definitely you should try these lipsticks. 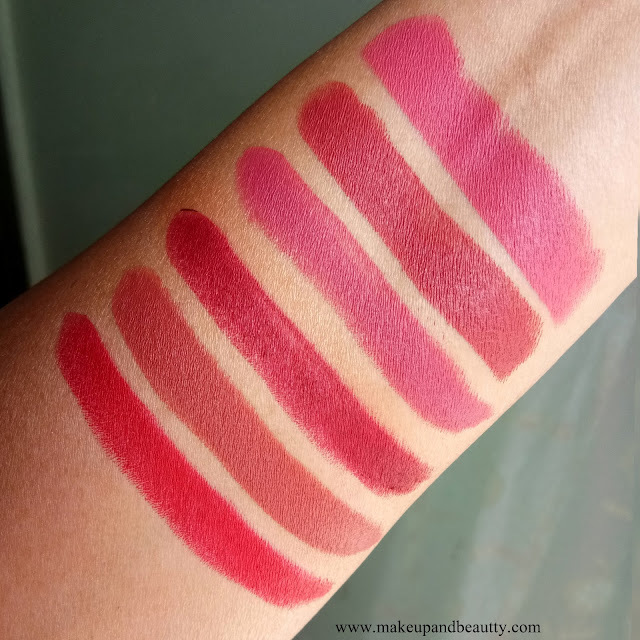 They are almost the same.